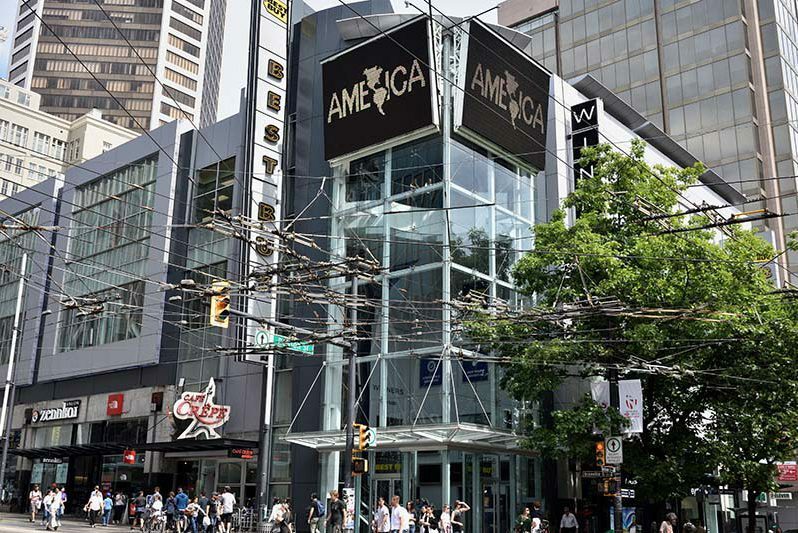 VANCOUVER, CANADA – The 2018-2020 Vancouver Biennale, titled “re-IMAGE-n,” is pleased to present the Canadian debut of Chilean artist Alfredo Jaar’s A Logo For America (1987/2018), on view at the corner of Robson and Granville streets, through August 26, 2018. Organized by the Vancouver Biennale’s American curator Jeffrey Uslip, Jaar’s A Logo For America (1987/2018) articulates the Biennale’s commitment to “re-IMAGE-n” (reimagine) a progressive social framework that supports free speech, reconciliation and the rights of First Nations, LGBTQ rights, artistic freedom, gender, racial and sexual equality, ecological awareness, religious freedom, and the ethics of biotechnology. Jaar’s A Logo For America (1987/2018) is the first in a series of projects Uslip will curate for the Vancouver Biennale, each exploring various cultural, social and political pressures placed on individuals, the environment and aesthetics in our current cultural climate.